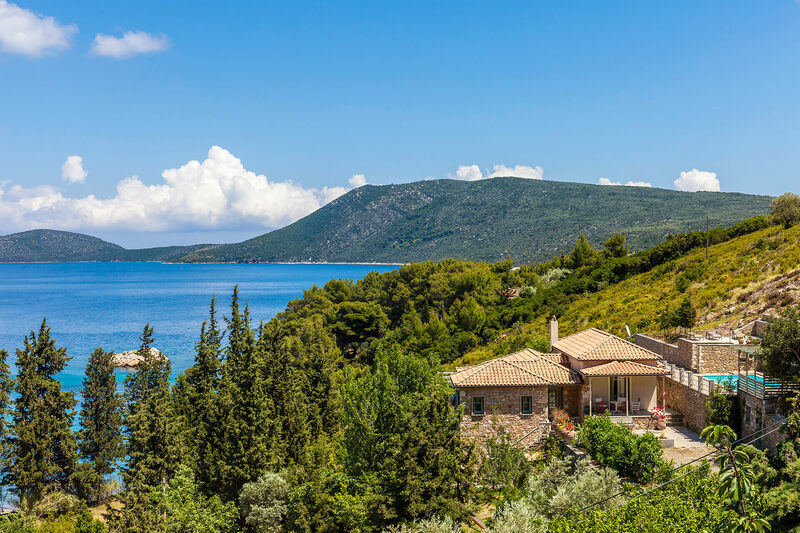 Rossella and Huw first visited the dreamy Sporades islands of Skopelos and Alonissos during the summer of 2015, and were blown away to find a luxuriantly green, uncrowded paradise such as we’d never seen in the Aegean. Our exclusive collection of villas there features the most desirable villas in these incredibly seductive islands, all available only through us and supported by our local team of dedicated Thinkers. Readers' Travel Awards in 2016, 2017 and 2018. 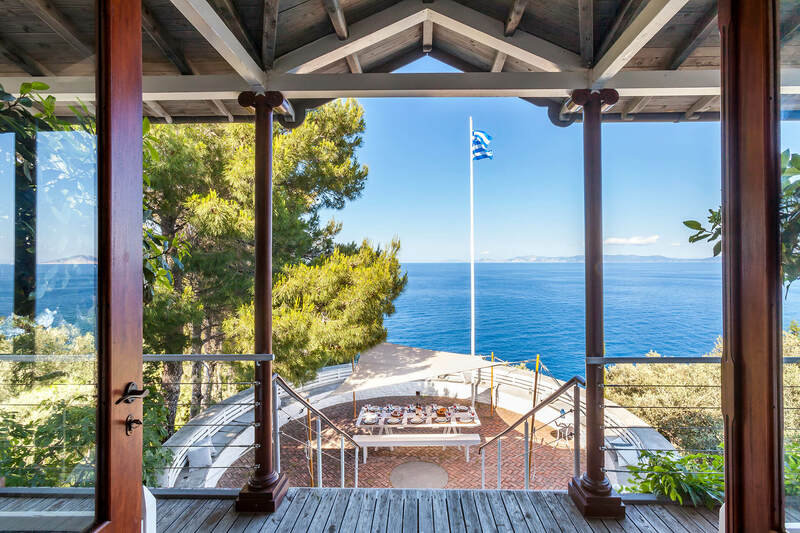 Book flights to the most desirable villas in the Sporades and discover everything you need to know about getting around this enchanting archipelago. We're very proud to have won "Favourite Villa Rental Company" for a third consecutive year at the 2018 Condé Nast Traveller Readers' Travel Awards, further extending our position as the only company to feature in the Top Three for the last eight years. If part of your holiday planning involves leafing through possibly the most beautiful villa brochure out there, request our 2019-2020 edition. 512 pages showcasing 206 of the most desirable villas in the Mediterranean. "Everything about The Thinking Traveller was absolutely brilliant, so much so that we have booked again. Everyone takes the extra time and effort to understand that these holidays are special moments for our family and, as such, having a great team behind you looking after the details makes all the difference. Can't wait to do it again." "I can't praise The Thinking Traveller team highly enough. They evidence a truly high standard of customer service and effective communication - the best I’ve come across. I was made to feel that my holiday was their sole focus. 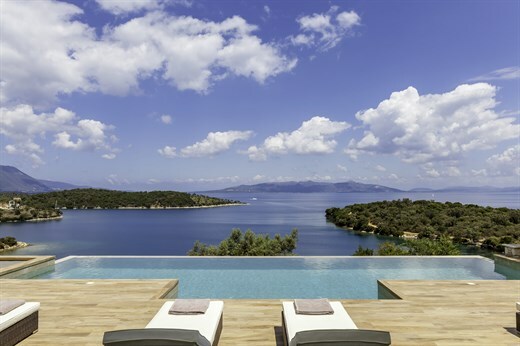 Everyone I dealt with had practical knowledge about the villa and local area." 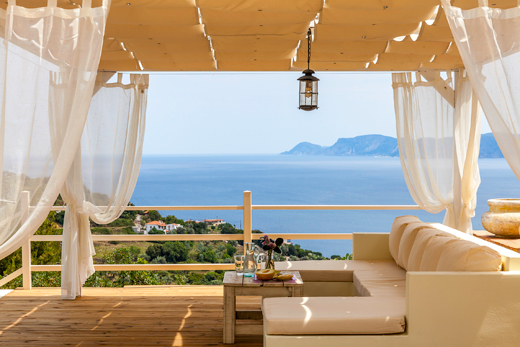 Sitting between Skiathos to the west and Alonissos to the east, Skopelos is a green and pleasant island, where cool, shady pine woods run into golden beaches and blue-hued waters. Myriad beaches, a hill-top town once abandoned and brought back to life north European enthusiasts, miles of walking tracks and the largest marine park in the Mediterranean: unassuming, many-splendored Alonissos. In the late noughties, Skopelos experienced a fleeting Warholian moment of fame. Suddenly, after many millennia of peace, a film troupe arrived, bringing with it Meryl Streep, Pierce Brosnan, Colin Firth and other stars. Work began on Mamma Mia!, the Abba musical that would take the world by storm and showcase Skopelos’ multifaced beauty.